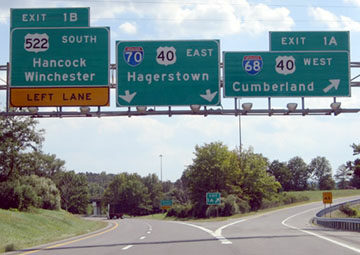 Note: not to be confused with the original US 48 [i] (which served California during the 1920s and '30s), or the current US 48 (serving Virginia and West Virginia). 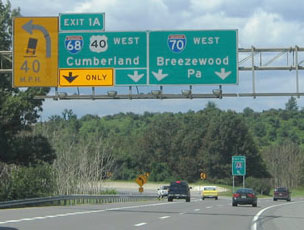 That was westbound on US 40, which formerly exited here, and US 48 began straight ahead. 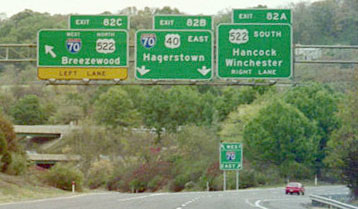 By Feb. 2007, that tipping truck sign was a bit wider, and it was topped with flashing lights. 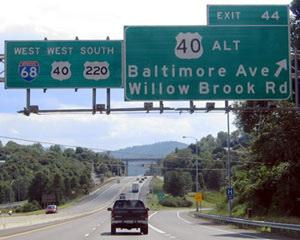 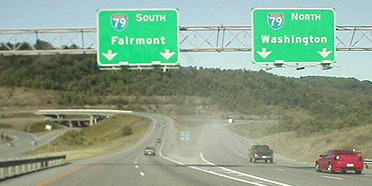 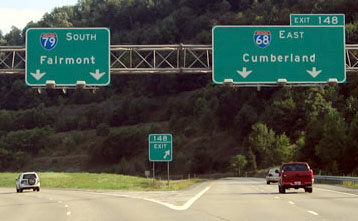 US 48 [ii] was decommissioned in 1991 and replaced with the I-68 designation.